A House Democratic lawmaker has introduced two bills that would change the insurance enrollment process and potentially score bipartisan support. Rep. Ami Bera (D-Calif.) has proposed auto-enrolling Medicaid recipients and subsidized enrollees on the individual market for their coverage, and aligning the exchanges' open enrollment period with tax season. Bera isn't promising a quick turnaround, but instead is taking the long view. His proposals may not be up for a floor vote this year, but ultimately he is optimistic that moderate Republicans could support his proposals. He said he has seen a shift in their thinking on healthcare. 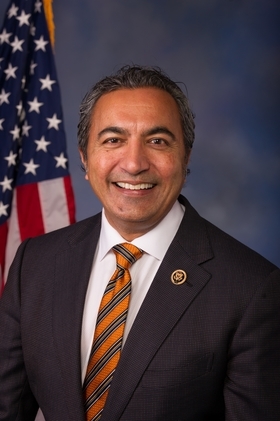 "We really ought to take the next two and a half years, and think about where we ought to be, where we're no longer playing politics but working on policy ideas," Bera told Modern Healthcare. The auto-enrollment plan maintains some caution, shying away from a federal mandate and putting focus on the states while also offering a 60-day opt-out window. The measure would establish grants to fund state pilots of auto-enrollment plans. It also focuses on the people who receive subsidized coverage or are on Medicaid to avoid locking the unsubsidized people into expensive premiums that analysts predict will be on a continual rise as healthy people split off from the Obamacare risk pool to take advantage of short-term, limited duration plans and association health plans. Bera also wants to line up open enrollment with tax season, an idea that has been floated for some time. Currently, the exchange enrollment period matches the Medicare Advantage enrollment period at the end of the calendar year. Critics of this timing say that people are less likely to buy insurance during the holiday season, when they are spending more money. None of these measures directly address the skyrocketing costs of care that are now hitting even the majority of Americans insured in the employer market, but Bera said it's the costs that could pressure lawmakers to act. Bera also plans to release a bill that could help with insurance plans that include the Obamacare essential health benefits but offer higher deductibles. Bera said plans like this could "better meet the consumers where they are," without going to skimpy short-term plans. "Theoretically, we're designing products and coverage that probably covers more than the average consumer wants in order to cover the 20% of people with chronic conditions," Bera said. "But there's a large segment of relatively healthy people who look at healthcare differently and could buy more coverage." Bera said his office is working with actuaries to see what these plans might look like and cost, but he sees health savings accounts as a boost to help people who want to opt for high-deductible plans. Another concept aimed at finding different options for people who don't want all the essential health benefits included gained traction earlier this year in Idaho, where GOP Gov. Butch Otter directed the department of insurance to allow for non-ACA compliant plans that still offered robust coverage. Idaho insurance commissioner Dean Cameron told Modern Healthcare in February that he wanted insurers to offer options that still offered an array of real benefits but would cost less because they didn't include all the Obamacare mandates. The state also tried to pass a dual 1332 state innovation and 1115 Medicaid waiver to insure high-cost, chronically ill patients on Medicaid. Ultimately, the CMS prohibited Idaho from changing the Affordable Care Act mandates on their exchanges, instead encouraging the state to push short-term, limited duration plans. The legislature spiked the dual waiver application. Correction: An earlier version incorrectly stated that the third phase of high-deductible plan design would exempt parts of the ACA essential health benefits.